It was a release we were expecting; adidas has launched the first signature Nemeziz colorway for Lionel Messi. 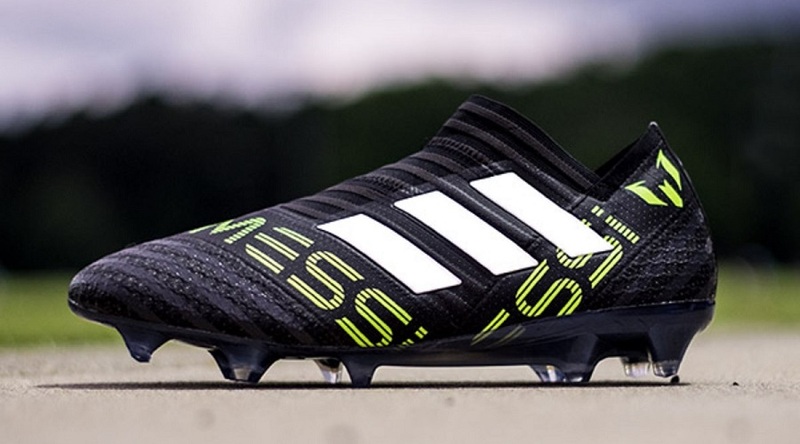 Given his transition from Purechaos to Nemeziz, it was always going to happen that the three-stripe would create a version of agility focused boot for King Messi alone. But, there is more than just a signature colorway on offer here. Everything about the boot has been modified to Messi’s expectations. For example, the upper features the same Agilityknit 1.0 forefoot found on the MESSI16+ series. The same is true underfoot, where the soleplate features a modified Gambetrax soleplate to suit Messi’s wishes, the same one also found on the MESSI16+. In typical adidas x Messi fashion, the elite level Nemeziz 17+ 360Agility ($319.99) is the boot being used for promotions. But we all know Messi loves his laced version, thus the Nemeziz 17.1 ($224.99) is the boot you will see him wearing. There are plenty of awesome boots of the new Messi Nemeziz floating around on Instagram. Some of the best are displayed below and should give you a better view of what the boot has on offer.